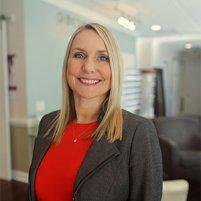 Testimonials & Reviews - Southport, NC: Tara Parnell, O.D. Dr. Tara Parnell always appreciates feedback from her valued patients. To date, we’re thrilled to have collected 6 reviews with an average rating of 5 out of 5 stars. Please read what others are saying about Dr. Tara Parnell below, and as always, we would love to collect your feedback. Very comfortable with Mary and entire staff. Very friendly, professional, and courteous. All of the ladies there went above and beyond to help me. It was a very pleasant experience. Always very professional and friendly. Willing to go beyond your expectations. As always, a pleasant thorough exam and visit with friendly and caring people. Friendly staff, short wait time and Dr Parnell listens to my concerns. As always visit was timely, staff attentive and friendly. Covered all my needs.